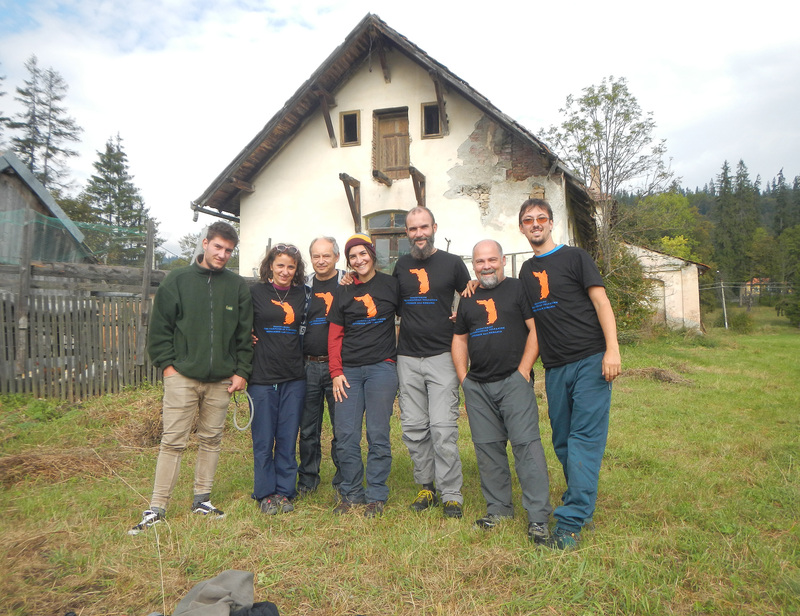 On 3 September 2018, seven researchers from four countries set off from Cluj-Napoca, Romania for a 10-day sampling expedition across the Eastern Carpathian Neogenic Volcanic belt. On 3 September 2018, seven researchers from four countries set off from Cluj-Napoca, Romania for a 10-day sampling expedition across the Eastern Carpathian Neogenic Volcanic belt. Early-career scientists primarily made up the team, which included members from three of the Deep Carbon Observatory’s Science Communities: Reservoirs and Fluxes, Extreme Physics and Chemistry, and Deep Energy. The goal of the expedition, entitled “Discovering the Carpathian Volcanism,” was to collect samples to answer key questions related to carbon degassing and the origins of fluids in the region, the evolutionary stages of different gases relative to the age of volcanic bodies, and water-rock interactions. The field team near the Borsec sampling site. From right to left: Artur Ionescu, Cristian Pop, Sergio Calabresse, Kyriaki Daskalopoulou, Calin Baciu, Boglarka-Mercedesz Kis and Roland Szalay. Photo courtesy of Artur Ionescu. The field team included Principal Investigator Artur Ionescu (Babes-Bolyai University, Romania; MTA-ELTE Volcanology Research Group, Hungary), Boglarka-Mercedesz Kis (MTA-ELTE Volcanology Research Group, Hungary; Babes-Bolyai University, Romania), Kyriaki Daskalopoulou (University of Palermo, Italy; National and Kapodistrian University of Athens, Greece), Sergio Calabrese (University of Palermo, Italy), Cristian Pop (Babes-Bolyai University, Romania) and Calin Baciu (Babes-Bolyai University, Romania). Antonio Caracausi (INGV Palermo, Italy), one of the Principal Investigators and promoters of the idea, was not able to participate in the campaign but remains heavily involved in the project through laboratory and data analyses. Additional collaborators not participating in the fieldwork, but involved in data and sample analysis include: Franco Tassi (University of Florence, Italy), Laszlo Palcsu (MTA ATOMKI, ICER Research Center, Hungary), Fausto Grassa (INGV Palermo, Italy), Istvan Futo (MTA ATOMKI, Hungary), Ferenc Forray (Babes-Bolyai University, Romania), Carmen Roba (Babes-Bolyai University, Romania), Carlo Cardellini (University of Perugia, Italy), Andri Stefansson (University of Iceland, Iceland), Walter D’Alessandro (INGV Palermo) and Szabolcs Harangi (ELTE, MTA-ELTE Volcanology Research Group, Hungary). The team selected the Eastern Carpathians for their sampling expedition because the volcanic centers are diverse in age, from millions to tens of thousands of years old. Although no longer considered volcanically active, the region boasts elevated carbon dioxide degassing levels, some of the highest in Eastern Europe. 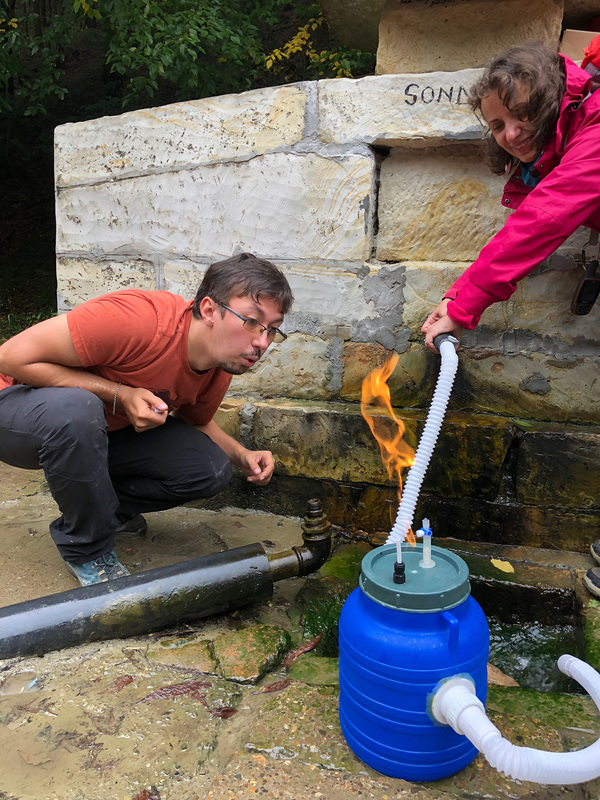 This expedition was the first detailed, regional-scale investigation into the geochemistry of fluids in Eastern Europe to date. 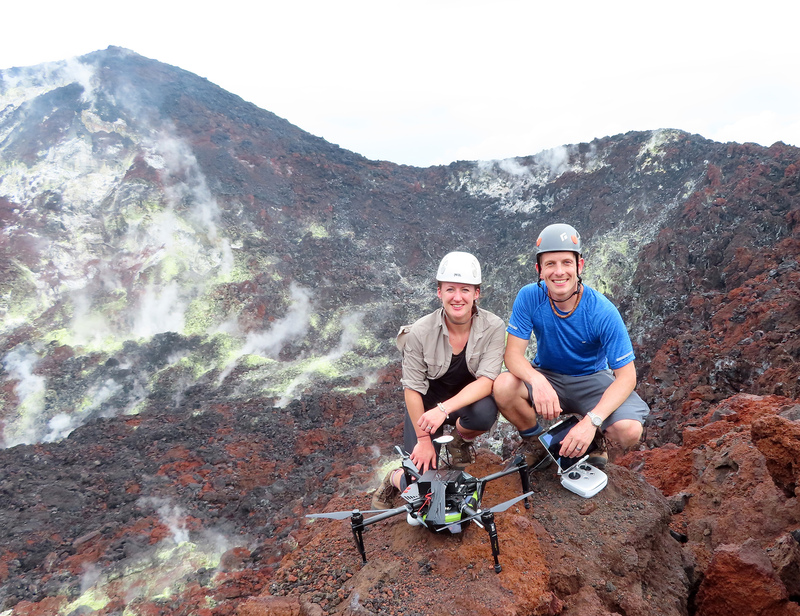 During the 10-day trip, the team visited more than 50 sites, from the southernmost to the northernmost part of the volcanic range. To see how volcanic gases interact with other geological units, they selected sampling locations where volcanic systems come into contact with a sedimentary basin to the west, and flysch and metamorphic carbonates to the east. The field team used varying sampling protocols, adapting their methods and procedures to collect representative fluid samples while reducing contamination from the air. At each sampling site they followed a rigorous protocol. First, they collected water samples for major, minor and trace elements, followed by samples for isotopes, dissolved hydrogen sulfide, and carbonate determination. Gas sampling followed, which included an aliquot for gas composition, noble gases, carbon dioxide and methane isotopes, nitrogen isotopes, sulfur isotopes from hydrogen sulfide and clumped carbon dioxide isotopes. 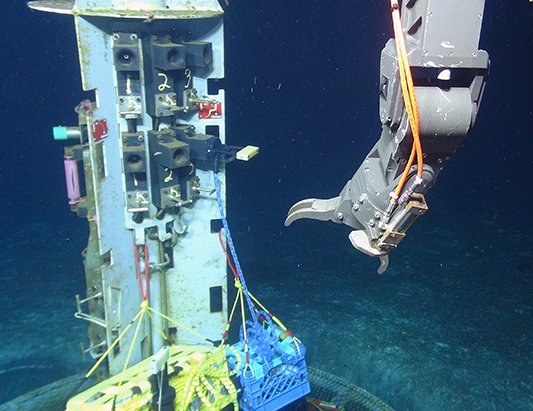 After sampling, a MultiGas instrument measured carbon dioxide, methane, and hydrogen sulfide flux and concentration. This MultiGas instrument is the first one built for low-temperature measurements. Currently, members of the “Discovering the Carpathian Volcanism” team are analyzing their samples and plan to make a database containing the new data available by the end of the year. 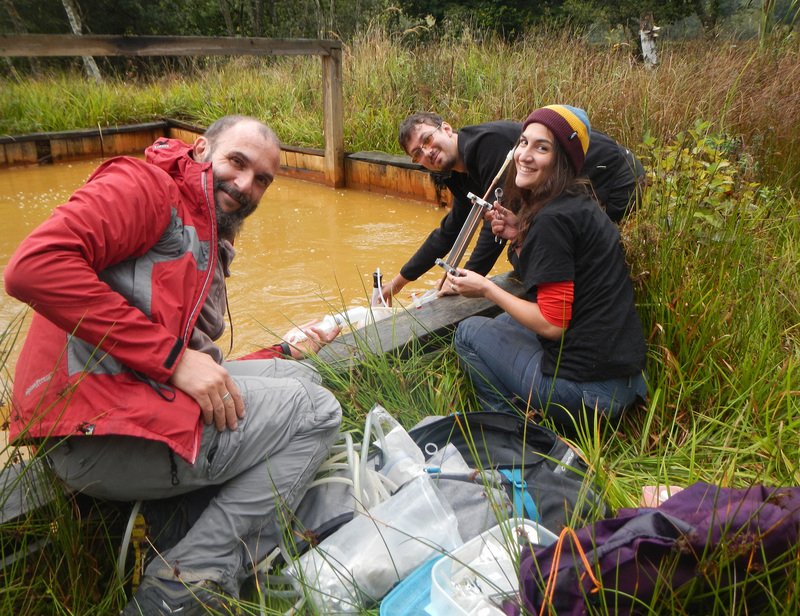 Their work will result in a regional degassing map of the Eastern Carpathians, an evaluation of the carbon cycle using two carbon species (carbon dioxide and methane), and a new quantification of carbon dioxide transport in groundwater. 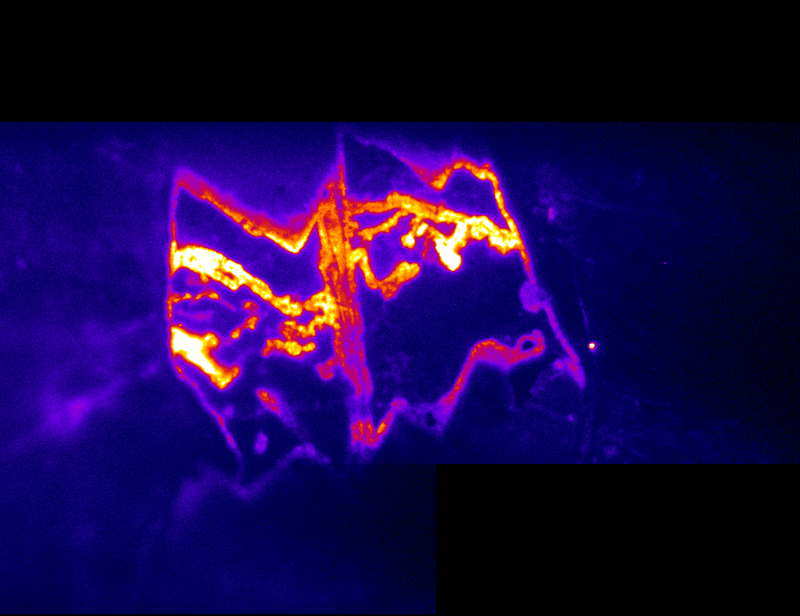 They also plan to calculate subsurface reservoir temperatures, characterize the mantle source feeding volcanism in the region, and describe the possible processes modifying the chemistry of mantle-derived volatiles moving towards the surface. Several members of the team are planning a follow-up expedition for 2019 in areas where fluid geochemical studies have not been performed or are partially lacking, such as the volcanic ranges of Serbia and Macedonia. Report contributed by Artur Ionescu. 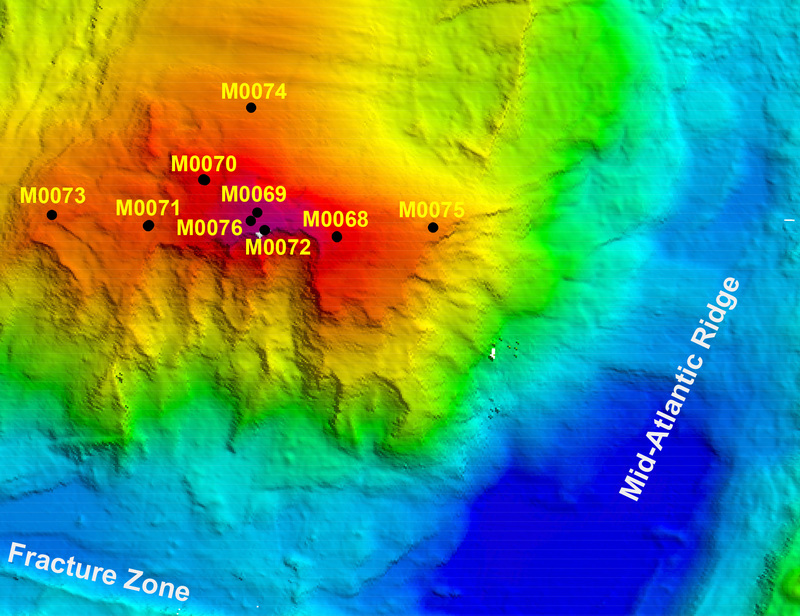 DCO Research Subsurface Life in the Atlantis Massif: Just Add Water?